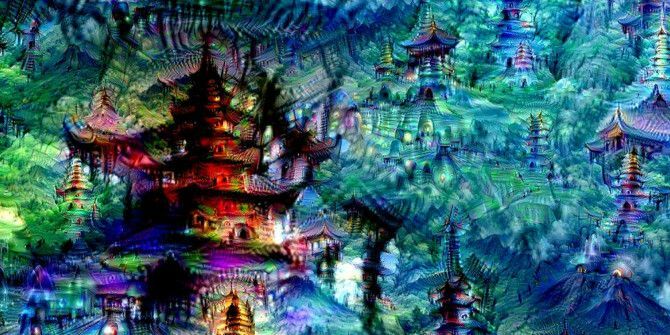 Create Your Own Artificial Fever Dreams with Google's "DeepDream"
If you’ve been on the geeky parts of the Internet lately, you may have noticed some very strange images popping up, connected somehow to Google. They look a little like someone took a lighter to the film stock of time and space. Or like playing “Where’s Waldo” on acid. Or maybe like someone turned John Carpenter’s The Thing Get Smart: Watch the Best Futuristic Action Movies Get Smart: Watch the Best Futuristic Action Movies There are a number of movies that combine hard-hitting action with deep concepts. These are smart, thought-provoking films that offer a most welcome form of intelligent entertainment. Read More loose in a pet store. These images are the output of Google’s DeepDream neural network. The network, originally used to classify images, has now been re-purposed to create them. The network identifies features in images — perhaps that crease looks a little like an eye, or that silhouette looks like a bird. It then emphasizes the elements it recognizes, over and over again, slowly transforming the resulting image into a vivid and surreal dreamscape. The network, due to quirks of its training data, has a fixation with dogs, eyes, and tendrils, leading to a unique visual style that almost looks like art. Recently, Google released DeepDream to the public. It’s a research tool, so setup is a little complicated, but it’s perfectly doable for anyone — even if you have no programming knowledge. Today, I’m going to talk you through how to install it and use it to generate crazy pictures of your own. Let’s get started. First off, this tutorial is for Windows only. Linux users without access to a Windows machine are welcome to try this tutorial, which people seem to like but I haven’t personally tried. To get started, you’ll need to download and install the following tools before you do anything else. The rest of the tutorial won’t work without these components installed. Vagrant [No Longer Available] — Vagrant is a tool for setting up standardized development environments. It’ll greatly simplify setup. Virtualbox — Virtualbox allows you to run other operating systems from within Windows How to Use VirtualBox: User's Guide How to Use VirtualBox: User's Guide With VirtualBox you can easily install and test multiple operating systems. We'll show you how to set up Windows 10 and Ubuntu Linux as a virtual machine. Read More . In this case, we’ll be simulating a Linux machine. OpenSSH — OpenSSH is a tool for connecting via command line to specific Linux machines 4 Easy Ways to Use SSH In Windows 4 Easy Ways to Use SSH In Windows SSH is the de facto solution for securely accessing remote terminals on Linux and other UNIX-like systems. If you have a remote SSH server you want to access, you'll have to download an SSH client.... Read More . In this case, we’ll be using it to talk to our virtual Linux machine. Note that OpenSSH will throw a big, scary warning during installation that you must set up the passwd file or else hell and brimstone will rain down around your ears. Ignore this. Vagrant will take care of it for you. Now that we’ve got the setup out of the way, let’s get down to brass tacks. Download the image-dreamer module from GitHub as a zip file, and extract it into your Vagrant setup at “C:\HashiCorp\Vagrant\bin\“. That’s pretty much it in terms of setup. Now we just have to turn the thing on. Open Windows PowerShell (you can find it by typing “powershell” into the start menu). It’s a much-need replacement for the old Windows command prompt 6 Basic PowerShell Commands to Get More out of Windows 6 Basic PowerShell Commands to Get More out of Windows PowerShell is what you get when you give steroids to the Windows Command Prompt. It grants you control of nearly every aspect of the Windows system. We help you leap up its learning curve. Read More , and it’ll serve us well here. When PowerShell opens, type “cd C:\HashiCorp\Vagrant\bin\image-dreamer“. That puts you into the same directory you just unzipped the module into. Now it’s time to activate our Vagrant install. Type “vagrant up” and hit enter. At this point, the system will start to do a bunch of first time setup. At this point, you might want to tab over to Netflix for a bit, because this step could take over an hour, depending on the speed of your machine. If you get an error saying that the virtual machine failed to boot, you might have the same problem I initially had, which is that virtual machines are disabled by default in your BIOS. You’ll need to reboot your computer, go into the BIOS setup, and see if you can find an option to “Disable virtualization“. Check under the security settings. If you do find it, turn it off and try the powershell again. Once the install is finished, type vagrant ssh into the command line. It’ll prompt you for a passphrase. Hit Enter without typing anything. It’ll then prompt you for the password. Type “vagrant” and hit Enter. At this point, it’ll give you a terminal to the virtual Linux machine, and we’re ready to use DeepDream. Type “cd /vagrant“, then “ls” (the linux command to list the contents of the directory). You should see the files in the image-dreamer directory. You can now interact with those files as though you were using a Linux machine. At this point, you’re going to need to take all the images you want to convert, make sure they’re in .jpg format, and dump them into “C:/HashiCorp/Vagrant/bin/image-dreamer/“. If you type “ls” again, you should see them. Be patient while it’s running! Large images can take a VERY long time, even on relatively fast hardware. Downscale your images when possible. If you get a crash because you’re out of memory, edit the “vagrantfile” file through the powershell linux command line, and increase v.memory to something reasonable like 10000. If you get an effect that’s less dramatic than you hoped, try running the program again on the output image. This should lead to a stronger distortion. There are a bunch of these command line options you can play with — way too many for me to go into here. You can find a more comprehensive rundown here and here. There are plenty of options here. You can also get compelling results by stacking these options. For example, here are some images I generated by running the default filter, followed by the line filter. Once you install DeepDream, take some time and play with it. There’s already a thriving Reddit community forming around creating these images. See what you can create! Post your most interesting results in the comments. Explore more about: Artificial Intelligence, Digital Art. I see simmilar thitg in appstore dreem filter or deepdream, something like this. You should probably mention that on the page of the Hawaii set of examples of different filters, the person who wrote down the filters used the incorrect slash (the backslash rather than the correct forward slash). 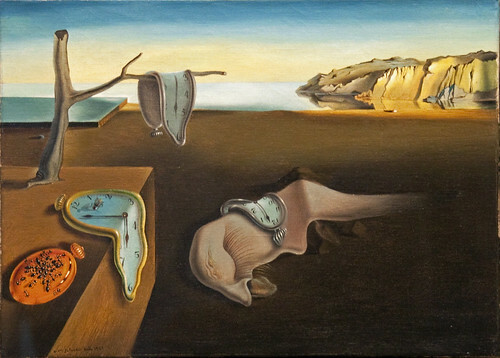 It is "inception_5b/1x1" and not, as the page says, "inception_5b\1x1." The latter only generates an error and no picture— you hafta get the slashes (and underscores) in the exact right place and in the correct form for these filters to work!! I can't find a way to reach the person who made the mistake. Also: you indicate above that the images we want to work with should be moved to the C:\HashiCorp\Vagrant\bin\image-dreamer directory. I am getting a directory of C:\HashiCorp\Vagrant\bin\image-dreamer-master instead, as the former was not generated and does not appear to exist (?). So much success hinges on details like these!! That is all. Just a quick question: I've set it up to test and it's working on an image, but how long do you think it'd take to process a 1920x1080 image? I was able to do that initial install in about 10 minutes because my rig is relatively fast. I think it looks like I've got 10 parts for 0, 1, and 2, but I didn't know at what number it stops. nevermind, I was do files too large. New question, how in the hell do I write the bash script? I'm doing this on windows so I have little experience writing a bash from the terminal. not sure how to approach it. I actually figured it out using vim. I'm kinda brute forcing my way through this haha. Thank you for the guide and response though. I do have one question I can't figure out do to lack of linux coding knowledge. How would I organize the code if I wanted to have it run one image through all the various layers once? Like, take one image in a folder, run it as dreamify.py x.jpg y.jpg "conv1/7x7_s2", ouput it, then do "pool1/3x3_s2" and output it , etc etc? python dreamify.py $file “dream_”$file” "layers"
No idea if that code makes sense. I'm not sure what I'm doing wrong. I've followed the directions perfectly (or so I thought), but once I type cd C:\HashiCorp\Vagrant\bin\image-dreamer> vagrant up into PowerShell, I get an error that says "A positional parameter cannot be found that accepts argument 'vagrant'." I've never done anything like this before, so it might be an easy fix that I'm not seeing. My only guess is maybe the pre-requisite programs didn't install properly. Go back and reinstall vagrant and the other two. Hi, I have done the tutorial; when i type "vagrant ssh" works, and then "vagrant" works, but when i type "cd /Vagrant" it say that "Set-location : Cannot find path 'C:\vagrant' because its does not exist." and I can't continue... :( what i did wrong? Make sure you aren't capitalizing the 'v' in "cd /vagrant". If that doesn't work, type 'ls' and tell me what you see. Looks like you're already in the correct folder! Try the 'python dreamify.py etc. etc.' command. "The term 'python' is not recofnized as the name of a cmdlet, function, script file, or operable program. Check the spelling of the name, or if a path was includes, verify that the path is correct and try again. Huh. Weird. What does your prompt look like? Maybe this is the problem: When i type "vagrant ssh" this is the answer. "‘ssh’ executable not found in any directories in the %PATH% variable. Is an SSH client installed? Try to stalling Cygwin, MinGW or Git, all of which contain SSH client. Or use your favorite SSH client with the following authentication information show below:"
After typing 'vagrant up' in how do you know when it's done? You said it's gonna take a while, since my computer is fairly old I typed 'vagrant up' and went to sleep. now when I change directory to deepdream folder and type in 'vagrant up' It writes some codes and stuff which I have no idea what they are. I've waited more than an hour and nothing. How do I know when it's done? what message will I get after all of this? Hmm. Sounds like vagrant up might be failing. Open virtualbox and make sure there aren't any errors? Thanks for the instructions - was fun. No single command, but you can write a bash script to do it pretty easily. You can google online for how to create and execute a bash script from the command line. That worked a treat. I've very little experience with bash so thanks for the challenge. Couldn't get it working for a while until I ran it in one line i.e. at the end i get the information "Killed" and can't find the result. What's the Problem? Sounds like you're running out of RAM. Trying feeding it a smaller image. Hey Andre, I am stuck. when I type the password, nothing appears, but that seems to be O.K. after that I type "/vagrant" and then the "ls", and that's where I get stuck. nothing happens, I mean, the "Caffe repos" in blue appears followed by "Vagrantfile", what do I do now? No problem, Marcelo. Try 'cd /vagrant' instead of just /vagrant. "cd" stands for "change directory." It's a navigational tool to make sure you're in the right place. Glad to hear it Marcelo! Ooh, that sounds really cool. Be sure to post it here if you succeed. If you're going to be processing a lot of images, I recommend use a bash script to automate the process. Thousands of music videos frames would take a lot of effort manually. yeah, I saw that on the deepdream video thread, but couldn't understand. Andre, help me with one final thing? Yeah, you'd need to break the video down into individual frames, and then process them one at a time. There are some utilities that do the breakdown for you. I don't think I've seen that error before. What command are you typing in to get it? So it worked successfully on the first image? That's really weird. Looks like it might be a problem with numpy. Try restarting your powershell terminal, and repeat the listed steps, and see if that fixes it. If not, you could try to reinstall numpy. just did that, I'll try to reinstall numpy. Okay. Try "sudo apt-get install python-numpy"
Hmm. I'm pretty much stumped, then. As a last-ditch effort, you could try typing 'vagrant destroy' and delete any VMs from virtual box and then reinstall everything from scratch and see if that helps. If THAT doesn't work, you could always post on /r/deepdream and see if they have any ideas I don't. Not a problem. Sorry I couldn't solve your issue! Hi there, got right to the end but I am unable to type to put the 'vagrant' password in, any ideas? That's weird. All lower case? What error is it throwing? nope its all good, i was just rushing things! This is loadsa fun! How do I edit that vagrantedit file though? At the moment I keep killing it when I try to run a higher resolution image through it. Thanks Andre!! You can use any command-line text editor. If you aren't familiar with the command line text editors, I recommend nano. Just type "nano filename.extension" to open the file, and then make whatever changes you need. I believe control-x exits, and then you have to type 'y' to save. Fair warning, though, I found that even increasing the memory, some image sizes just didn't work on a desktop machine. This is awesome. I am trying this. I have already joined the sub-reddit r/deepdream. Thanks! But “conv2/3×3? doesn't work for me. As in, when I do something else than the line thing and it works. That's strange. I just double-checked, and "conv2/3x3" works for me. Might be to do with the other error you're getting, which sounds like it might be hardware specific. Try it on a different machine? Just a thought, make sure you're typing "conv2/3x3", and not copy-pasting it. Just in case some formatting weirdness is creeping in. Alt Gr and + is also supposed to generate a multiplication sign, but that does seem to work, and Alt and 0 D 7 generates •. What version of python is everyone using? When i spun up vagrant i had to set the python env. I use 2.7 and I get a message saying numpy is not installed. When i use 3.4 it compiles dreamify.py with an error on like 81. Not sure why you had to configure that manually. It should all be set up for you with vagrant. Thnks Andre! "caffe repos" with "ls" in blue and "caffe repos" in white with "dir"
Great tutorial! I'm almost there! Got stucked on the last step! I'm getting this error "python: can't open file 'dreamify.py': [Errno 2] No such file or directory". Any clues if i'm doing something wrong? Help! Hey Eric! Could you please enter 'ls' and 'dir' separately and tell me what you see? You're either in the wrong directory, or something didn't unpack properly. Thanks Eric. I think you're in the wrong directory. Give me a moment, and I'll figure out what went wrong. Thanks Andre for the quick reply! Is there a way to undo the first time setup? So maybe this way when I do the "vargant up" it reinstalls everything again? You shouldn't need to redo first time set-up. But, yes, there's a way to do that if it proves necessary. Okay, I figured out what's going on. You just need to type "cd /vagrant"
That should get you to the proper directory. If you type 'ls' afterwards, you'll see 'dreamify.py' among other files. The commands should work from there. Thanks Andre but still no go. I'm at "vagrant@data-science-toolbox:/vagrant$" when I try "ls" I get this: ls: cannot open directory . : Operation not permitted. That's peculiar. It sounds like you may not have execute permission to the directory. My linux is a little rusty, but try "sudo su", and then "ls" again. Did you try the 'sudo su' fix? Also, I spent some time looking into it, and it looks like this can happen if you rename the vagrant project's parent folder. Does that sound like something that might have happened?